This blog article is presented because I accepted the invitation from human rights expert Todd Landman, professor of Government and Academic Magician, to write a few words about the creative process and what motivates my writing. I am actually in a phase where I have completed a major new work that should be announced in a few months This year has been quite rich with writings, both the mentioned book, but also several articles that has been and are yet to be published as well as the monograph on Obeah. I am currently allowing a couple of weeks of rest and recovery from the conclusions of these projects small and monumental before I will return to a novel I started on a couple of years back, which now appears to be ready to be written. ‘Occult books’ is a very narrow niche, but at the same time it invites in everything to make part of the concept you are working with. Fantasy, illusion, poetry, dream, folklore, fiction, documentary, biography, everything can be invited in. Given the wide access to various fields of knowledge an occult work can draw upon I think it is important to demonstrate discernment in what is invited into the work. An occult work is so readily open for a thousand digressions, that it is important to constantly remind yourself about what you are actually doing and be stringent. I think my work differ from the general occult production of literature in this stringent attention to what I am actually doing and try to be aware the temptation of digressions and at the same time to be true to the spirit of the book. For instance, Craft of the Untamed was a book originating from the idea that witchcraft is a poetic reality and hence poetic liberties was admitted. With a book like Palo Mayombe I wanted to present a maligned cult free from bias of judgment and opinion. Hence the book was worked in the difficult field of an academic involved with what he is writing about. I believe my adherence for critical theory was helpful in fleshing this book out. So, I think I might differ from other writers in this more academic and critical approach to the matter I am writing about. It might also help that I do not see myself as an ‘occultist’, but rather a mystic. I am interested in revealing, not obscuring, so my work so far would perhaps not be adequately defined as ‘occult’. 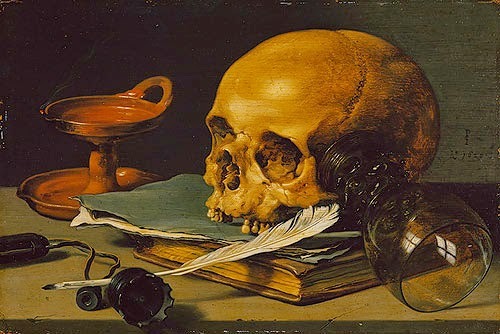 I always liked to write, poetry, short stories, novels since I was very young, but when I started to study at the university I also discovered a fondness for the academic jargon of writing, its demand on sources and the way a discourse should be worked to actually contribute to the existing knowledge. Witchcraft, magic, spirituality intrigued me from an early age so it became a natural part of my writing exercises. I must also admit that I do have a fondness for sharing and so far my books about witchcraft, sorcery, Quimbanda, Palo Mayombe have been motivated by a desire to share and also I hope I have demonstrated that some academic scrutiny can be well applied even writing ‘occult books’, as long as you refrain from too much footnotes and referential discourse necessary in academic discourse. But I see my writings as regulated by phases, sure I have a few more books on topics occult and mystical I want to write, but I don’t see myself as limited to this genre. I write due to routine, the muse is for poetry, but the poet can take the muse to make his or her work whenever he wants, as long as there is a rhythm in the routine. The writing processes itself for me is about emptying my cup into the pages and then use time to build what I want to give shape, form and direction to the excess of material and words I emptied out on my dish. So, it is fair to say that for me, the start of every project is a frenzy that gives way for a period of meticulous organization. Order is brought forth from Chaos. In the aftermath of the frenzy I make sure that I balance writing against leisure and physical labour. Physical labour is for me necessary contemplation, a way of working the other pole of the mental world of ideas and words and exercises them. After lengthy projects I always feel the need of digesting writing and to engage into totally different things, if possible completely alien avenues of adventure and experience. For me, after long times with Saturn and Mercury I find myself in need of indulging Venus for some time. It is about presence and dedication mediated by letting go and a desire for distance. Doing this I clean the slate in all ways, which ends with a reorganization of my workspace. This reorganization always involves tearing apart ‘the shrine of my mind’, which is a physical altar, which is always worked during the process of writing, it is in frenzy or under the thumb of Saturn and Mercury. It is about accepting that a work has been done and give room for the new, because every writer will after some time desire to change what has been done. I just make this desire impossible, both physically and mentally, tearing apart the process that generated the work. This being done I can indulge into reading for pleasure, and not for research, and one of these readings of pleasure is committed by my friend Adam Nevill, celebrated writer of Horror, who I pass these four questions on to, in hope that my answers made sense, although if they made no sense it is of course equally fine.